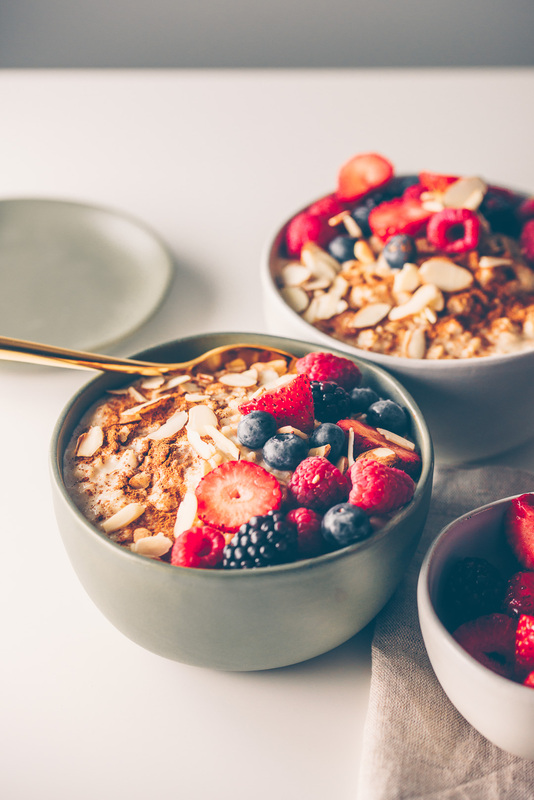 Never suffer from dry oatmeal again with this recipe of Creamy Oatmeal and Berries. Hunting for food props for my food photography is an ongoing process. Whenever I see something that I want or something that inspires me I have to get it. Last week I went to Target for one item and stumbled across the new collection for Hearth and Hand with Magnolia and fell in love. So much so that I bought 2 of almost every bowl, plate, saucer that came in green and white. What better way to use my pretty new food props than with a delicious bowl of oatmeal. Can’t lie. I’ve been a victim of dry oatmeal. Don’t believe me, just take a look at my recent pictures. That’s what happens when you follow the directions on the package sometimes. But not today! 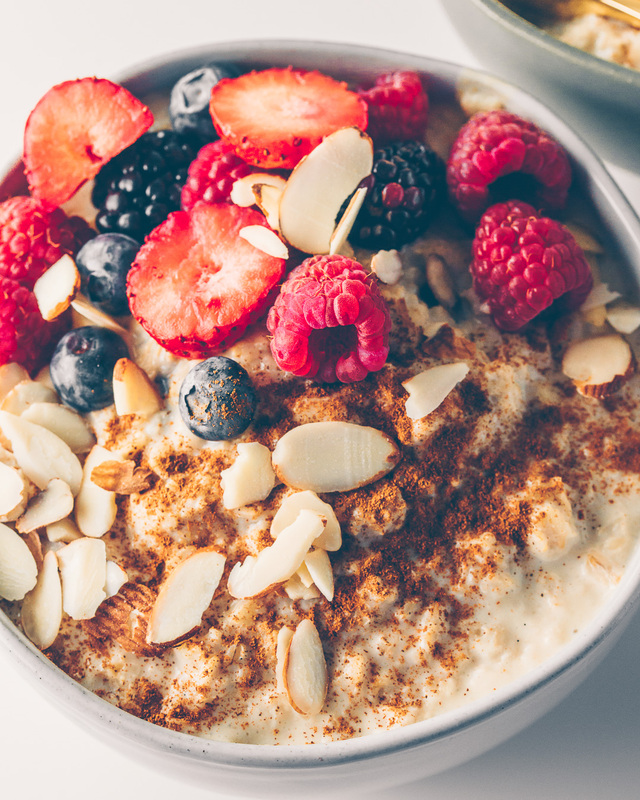 I made theee Creamiest Oatmeal with Berries topped with cinnamon, and sliced almonds. 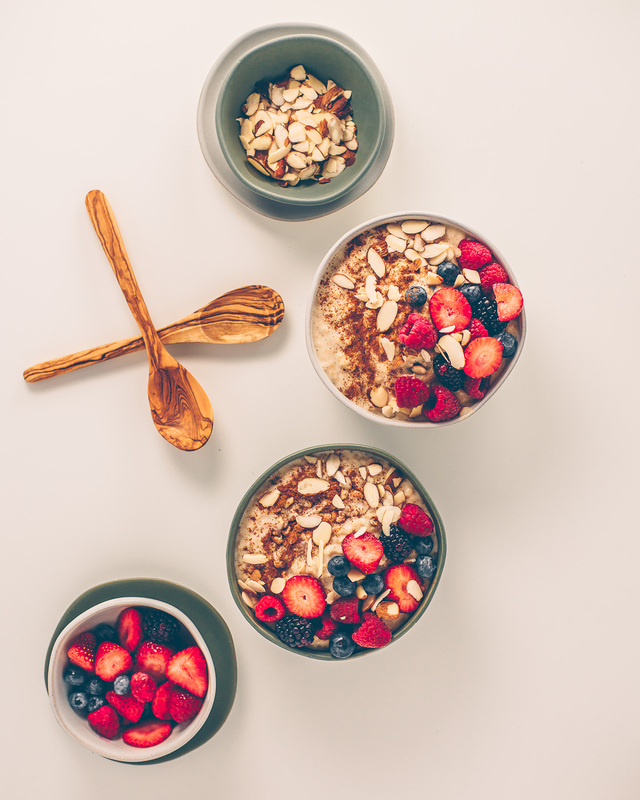 One key ingredient to stepping your oatmeal game up is use milk in place of water. Any type of milk will do but unsweetened almond milk was used. Boil almond milk in medium pot. Then add oatmeal. I always buy old fashion/steel cut oats. When I want to be extra I take half of whatever I’m using and mix for several seconds in the blender to switch up the consistency (not really necessary). Return to boil and then place heat on low (uncovered). Continue to cook for 5-7 minutes or until oatmeal is done. And now you sweeten by adding the honey and vanilla extract. 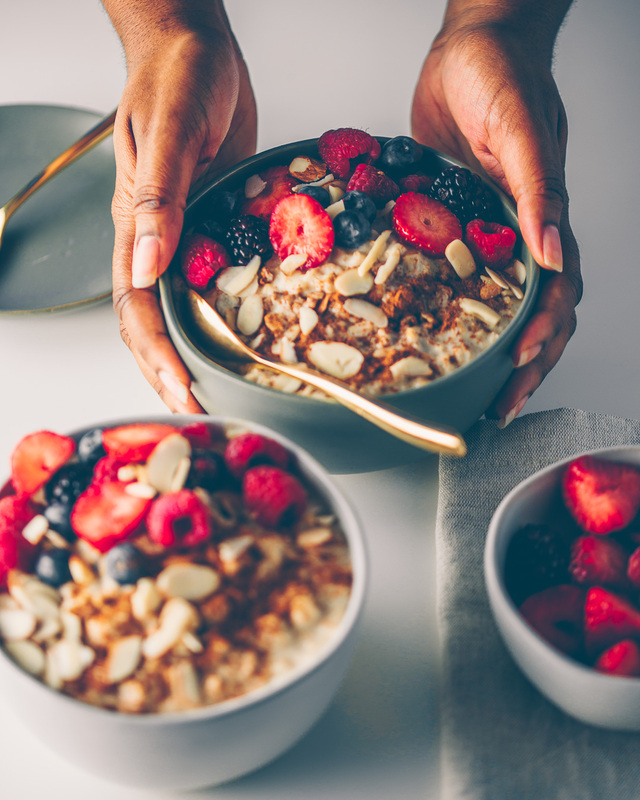 Place oatmeal in your morning bowl and top with fresh blueberries, blackberries, and strawberries. Sprinkle a little cinnamon and sliced almonds on top and dig in. Once you go creamy you’ll never go back. TRUST.